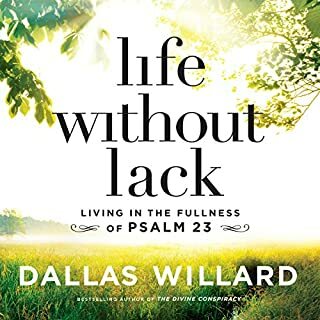 Dallas Willard, one of today's most brilliant Christian thinkers and the author of The Divine Conspiracy ( Christianity Today's 1999 Book of the Year), presents a way of living that enables ordinary men and women to enjoy the fruit of the Christian life. 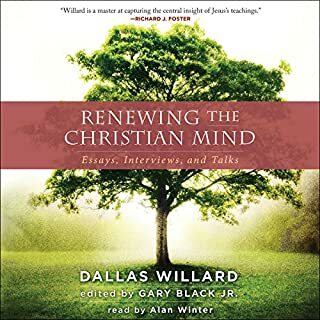 By: Dallas Willard, Gary Black Jr.
From Dallas Willard, one of the most important Christian intellectuals of the 20th century, comes a collection of readings, interviews, talks, and articles - many previously unpublished. In his groundbreaking books, teacher, philosopher, and spiritual guide Dallas Willard forever changed the way many Christians experience their faith. Three years after his death, the influence of this provocative Christian thinker - "a man devoted to reestablishing the exalted place moral reasoning once held in the academy" ( Christianity Today) - remains strong. The last command Jesus gave the church before he ascended to heaven was the Great Commission, the call for Christians to "make disciples of all the nations. "But Christians have responded by making "Christians", not "disciples". This, according to brilliant scholar and renowned Christian thinker Dallas Willard, has been the church's Great Omission. Am I Christian enough to make it to heaven? When Christians share their faith, they often appeal to reason, logic, and the truth of doctrine. But these tactics often are not effective. A better approach to spread Christ's word, Dallas Willard suggests, is to use the example of our own lives. To demonstrate Jesus's message, we must be transformed people living out a life reflective of Jesus himself, a life of love, humility, and gentleness. Dallas Willard, the author of the best-selling spiritual classic The Divine Conspiracy, now fulfills his revolutionary vision of how the kingdom of God is made real on Earth in this sequel, the last book he was working on before his recent death. 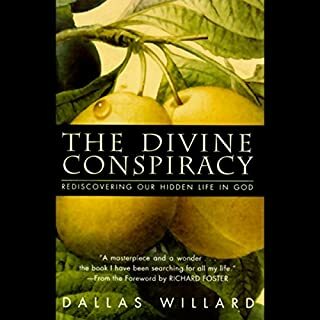 In The Divine Conspiracy, revered Christian philosopher and scholar Dallas Willard critiqued the church's obsession with "sin management" and revolutionized our understanding of true Christian discipleship. Jesus is not a remote savior, waiting to welcome us into heaven after we die, Willard argued. Dallas Willard spent his life making eternal living concrete for his friends. After his unexpected passing in 2013, the kaleidoscope of memories and the diversity of the lives he had touched could not be confined to one or even two memorial services but three. It is this wide breadth of impact that inspired friends, family, colleagues, students, and leaders of the church to gather their reflections on this celebrated yet humble theologian and philosopher. Listening to The Me I Want to Be is your first step to becoming Gods best version of you. Join best-selling author and pastor John Ortberg as he guides you through the sometimes difficult but ultimately fulfilling journey towards a uniquely created spirituality - one designed just for you one that will enable you to experience God more fully each day. First published in 1992, Prayer: Finding the Heart's True Home has become a classic on its eponymous subject. Awarded Christianity Today's Book of the Year award and the Evangelical Christian Publishers Association's Gold Medallion award, Prayer continues to receive widespread acclaim as one of the most thorough and insightful treatments of this central spiritual practice. The heart of Christianity is about transformation, about a God who isn't just concerned with our "spiritual lives", but who wants to impact every aspect of living. It's realizing that God meets us not in a monastery but on Main Street, and that all of ordinary, daily life has the potential to be lived as if Jesus himself were the one living it. Dallas Willard and John Ortberg explore what it means to live well now in light of God's kingdom. They reflect on the power of the Trinity in our lives, the meaning of knowledge, the importance of spiritual disciplines and much more. Dallas Willard offers poignant thoughts about what it will be like to transition into the very presence of Christ in heaven. This audiobook is adapted from the talks given at the February 2013 Dallas Willard Center "Knowing Christ Today" conference in Santa Barbara, California. Each chapter is followed with an illuminating dialogue between Ortberg and Willard. The audiobook closes with the theme of offering a blessing to one another. These reflections comprise an apt conclusion to Dallas Willard's public ministry. It is a gift of grace. A conversation guide written by Gary W. Moon is included. Despite the title laden with all kinds of connotations, this is a phenomenal book. The book is really the summary of a conference put on by Willard and his friend/mentee John Ortberg. The conference was for pastors of churches and it turned out to be Dallas Willard's last work before he died. I listened to the audio of the conference (which was at least slightly edited from the conference) and flipped through the book, reading about half of it in review. The book is also cleaned up a bit from the audio version. 1. I'm currently on a quest to discern what it is about my conservative christian roots that is so off-putting to myself and others. 2. 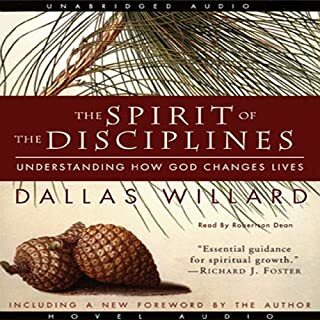 I've always been fascinated by Dallas Willard being such an influential christian while his day job had him in the philosophy department of a major university (USC). From a couple of comments from my Aunt who recently listened to this I decided to start here, at the end of his works. If Dallas Willard had a church, I think I may enjoy it. There are 2 really important pieces from this book that make me think I would enjoy a community with Dallas Willard leading it. 1. There is a recurring idea letting go of control in almost every aspect of christianity. One of the most gripping examples is when he speaks of himself as a young pastor: "I thought the way to move someone was to make them feel, not provide them with knowledge." He has since learned that making someone feel is manipulative, and providing someone with knowledge is empowering. If there is any single piece keeping people out of conservative christianity, it is probably this one. He states the problem and applications in a few different ways throughout the book and states it well. Do your best and let go. 2. Willard (and Ortberg) puts a lot of emphasis on life now rather than life after death. "Your kingdom come... on earth as it is in heaven" so we are not leaving to go to heaven, heaven is coming to earth. I think between Dallas Willard and NT Wright's influence the conservative christian church is doing a lot better job of this. John Ortberg was a big part of this conference. It seems pretty obvious his goal was to make Dallas Willard accessible and applicable to the pastors in the audience. I think he splits his time accomplishing that goal and also pulling the listeners back towards an organizational, application-at-all-costs misunderstanding of what Willard is saying. Careful not to treat people like machines rather than people/friends Ortberg! Suffice it to say I skipped through a good portion of his talks. At one point Ortberg makes a joke while interviewing Willard that was clearly not the time for a joke, but Ortberg missed the depth of what Willard was saying. I think it was cleaned up in the book, but you will probably notice it if you listen to the audio. 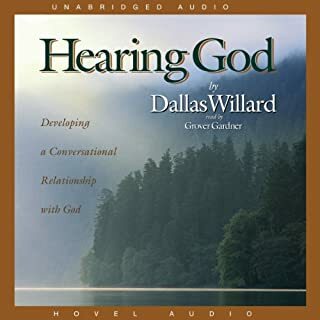 Not too long of a book/audio, highly recommended for anyone interested in a "sense of pervasive well-being" (willard's definition of joy) or anyone wanting to better communicate the message of Christianity. Much of what is in this audio book was not new to me because I've studied the Bible for many years. However, what I did find wonderful is the refreshing honesty of the characters. I have a new outlook on living out my faith that was seemingly right in front of me all this time... I even stopped to post many ideas from the author on FB in attempt to bless someone with the wisdom. I'M IN LOVE WITH A "DEAD" MAN...DallasWillard! I'M IN LOVE WITH A "DEAD" MAN...Dallas Willard! This is a MUST read for all Christ followers...ESPECIALLY LEADERS! I suggest the Audible version...play it over & over while you're driving. It will Transform your life and give you Clarity & Direction for the Ministry! 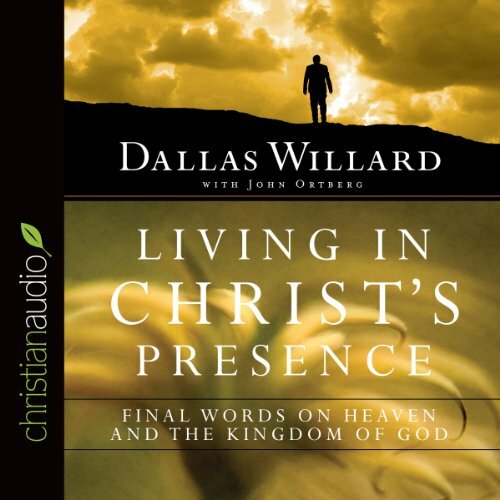 Where does Living in Christ's Presence rank among all the audiobooks you’ve listened to so far? the interaction between Willard and Ortberg was really vibrant and sincere. they complement each other in many ways, and were good friends too, smart and learned, sincere and honest about themselves and Christianity today. i loved the audio and didn't want it to end! What about Dallas Willard’s performance did you like? This is less of a book and more of a teaching seminar, but some really excellent spiritual nuggets in there. So glad I listened to it. Excellent practical information on living in God's Kingdom. Conference format. Interesting insights from Dallas Willard. This book is full of deep profound statements and truths of Jesus , spoken by Dallas in the way only he seems to be able to say it. Obviously a very intelligent but humble man. It was not too difficult to understand but reaches so deep in my shallowness that I need to jot down the statements and soak in the meaning of it. Something happens to your brain and soul when you are hearing things your mind and heart hasn't truly received properly before. I would say this is worth listening to again and again and write the profound things down in a journal. This audio is an actual recording session of which Dallas was speaking at. As well as John Oterberg, a co-author he discipled and mentored. Every topic was fully covered and the complex ideas were easy to understand. 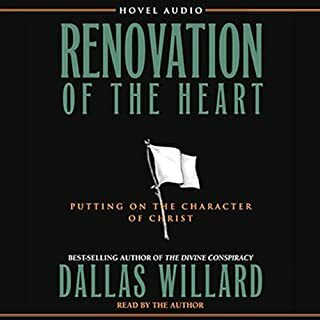 I really enjoyed the format and that both authors spoke and answered questions Dallas Willard has an amazing way of intriguing the listener. Dallas and John have so effectively put into words and language truths that the Lord has been showing me but I didn't have language for. So blessed and so excited to have discovered this awesome godly man. Will be reading many more of his writings and listening to anything of his that I can get my hands on. It all results in me being even more amazed at my Heavenly Papa. Best Book I've listened to this year! You will find its contents transformative if you allow it to penetrate your life. This was made not long before Willard died, and so much of his discussion, about entering into hope and the Presence, has an extra poignancy. But the best talks are actually those by Ortberg : he takes the depth of Willard, and makes it so approachable. A fabulous conference that I feel truly blessed to have shared in, via this recording. Timely, profound and wise words to the church! The unique teaching and subsequent dialogue between Dallas and John make this a rich experience. Worth listening to more than once.